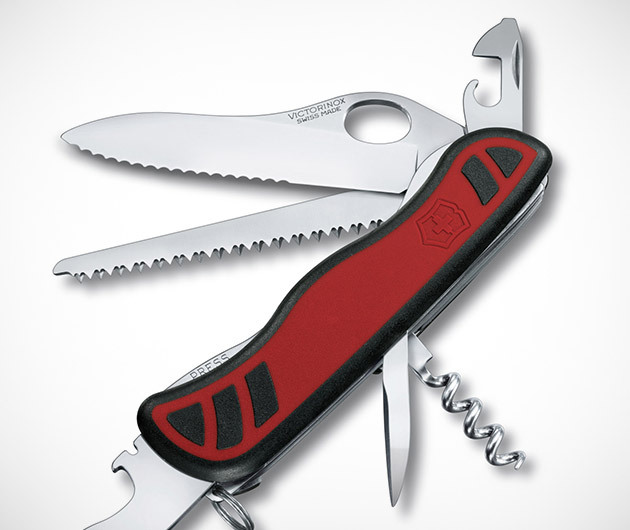 The Victorinox One-Hand Forrester is the lumberjack of Swiss Army Knives. With two tough, serrated blades and a neatly arranged pocketful of accessories like corkscrew and screwdriver in one compact package, the One-Hand Forrester is the utility knife to beat. Plus, you can easily use it with one hand, as its name implies, leaving your other hand free for texting or fighting off bears.